Many children dream of becoming a knight, but somewhere along the way divert course upon discovering the logistical and temporal challenges that their aspiration entails. The 22-year-old version of Miles Hyman ’85, after having dedicated his studies at the University to the fields of literature and fine arts rather than horseback riding and jousting, seemed something less than an obvious candidate to achieve this specific accolade. Yet in August, the Vermont native who self-describes as “very culturally American,” was named as one of France’s newest Chevaliers des Arts et des Lettres (Knight in the Order of Arts and Letters). Hyman’s unconventional knighthood is one of the chief laurels in his distinguished career as an author and illustrator. “I’m still kind of surprised and shocked by the whole thing,” Hyman said. Hyman was named Chevalier largely as a result of his highly successful recent project, a graphic novel adaptation of Shirley Jackson’s famed short story, “The Lottery.” The original tale, which morbidly depicted a village that annually chooses one person to stone to death via a lottery system, has been translated and adapted many times. But Hyman’s work marks the first time that the story has been brought to color on page, and also inspired a widespread popularization of the story with Francophone audiences due to his multilingual translations. 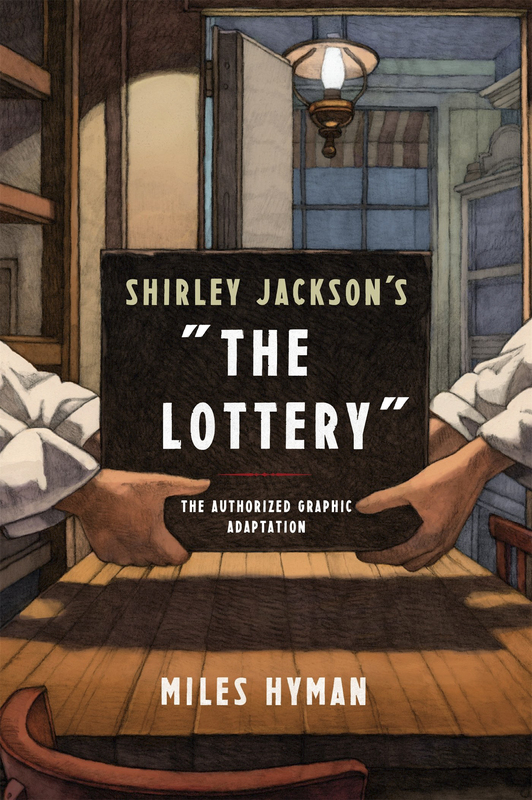 Jackson’s story chronicles the day of the ritual itself and does not reveal the “prize” of the lottery until its shocking ending, as villager Tessie Hutchinson is surrounded and pelted with rocks. It was met with a wide array of reactions upon its release in 1948; the responses ranged from hate mail to those who took the story for nonfiction and demanded more information. “The Lottery” has gained both notoriety and acclaim for its provocative use of dramatic tension. Any reinvention of the story, therefore, is a proposition as precarious as it is remarkable. Hyman was careful to keep this balance in mind. Hyman’s technical refinement and conceptual sophistication work beautifully in concert with his background. Besides his pedigree as an artist, Hyman gained valuable insight into “The Lottery” via his family pedigree; Jackson was his paternal grandmother. Despite “The Lottery” having hollowed out its place in the upper echelon of American short stories (Hyman modestly refers to it as “an institution”), he was disappointed to see that it had not fully emigrated to France. This realization, in tandem with his Francophilia and relation to Jackson, formed the foundation of his choice to make the story his own. 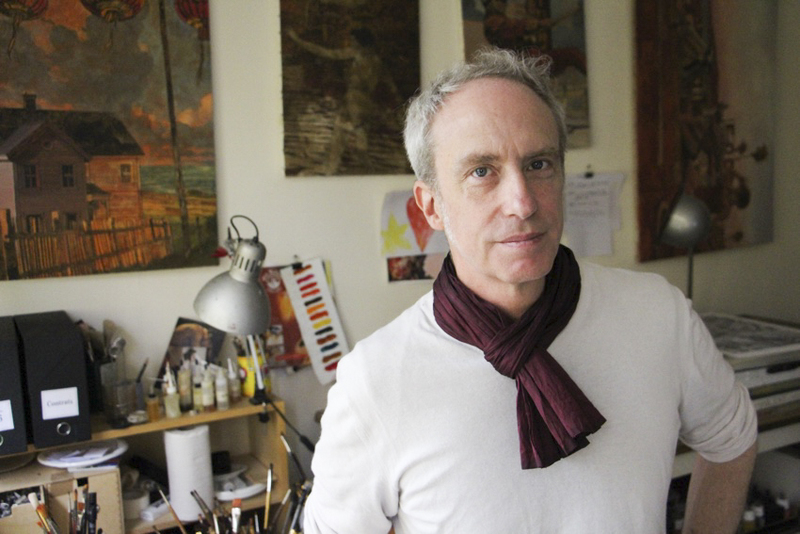 Hyman tends to direct attention away from his familial connection to Jackson, though it is often unclear whether this choice is an artistic or personal one. He does bring up the relation in each translation of the text but relegates it to the afterword rather than a more prominent spot like the foreword or dedication pages. Surprisingly his avoidance of the topic seems to stem more from legitimate naïveté than timidity. While taking on a project started by his illustrious grandmother will inevitably draw comparisons, Hyman is still in the midst of building an impressive legacy of his own, as demonstrated by multiple award-winning works and his newfound knighthood. What is up next on the docket for the soon-to-be (tomorrow) 55-year-old? A book for the eminent designer Louis Vuitton. Of course, none of this can kick off until he returns from his current book-signing tour. And for someone as popular and busy as Hyman, that’s a timeline which can easily run out of control.